I lecture in Marine Geology and Geophysics. I focus my research on seabed morphodynamics. I study sediment transport and bedform dynamics, more particularly the formation of amplified sediment waves, enhanced sediment mobility around seafloor objects and its link to sustainable management of engineering projects. I also study seabed morphodynamics linked to glacial dynamics, reconstructing the demise of marine-terminating ice streams from investigations of the seafloor, and understanding seabed habitat suitability on exposed seafloor when glaciers have retreated. -> 2011 onwards: project “AmSedIs”, funded by the European Commission (EUROFLEET) and with experts in biogeochemistry, seabed geomorphologists, sedimentologists, geophysics experts and numerical modellers across Europe. -> 2018-2022: project “Seabed integrity around objects in a complex marine environment”, funded by KESSII (PhD studentship) and via multi-disciplinary collaboration with experts in marine geo-archaeology, Computational Fluid Dynamics and sediment transport modelling. via collaboration with renewable energy developers and with links to iCRAG (Ireland’s national geoscience research centre supported by Science Foundation Ireland). -> Ongoing: object-oriented modelling for glacial landscape recognition, in collaboration with modellers in India. -> 2017-2020: project “Impacts of deglaciation on benthic marine ecosystems in Antarctica (ICEBERGS)”, NERC funded (CONICYT - NERC Antarctic programme), in collaboration with experts in benthic ecology, palaeo-oceanography, glacial dynamics and sclerochronology. I teach undergraduate and postgraduate modules with content ranging from general earth sciences to applied marine geology. 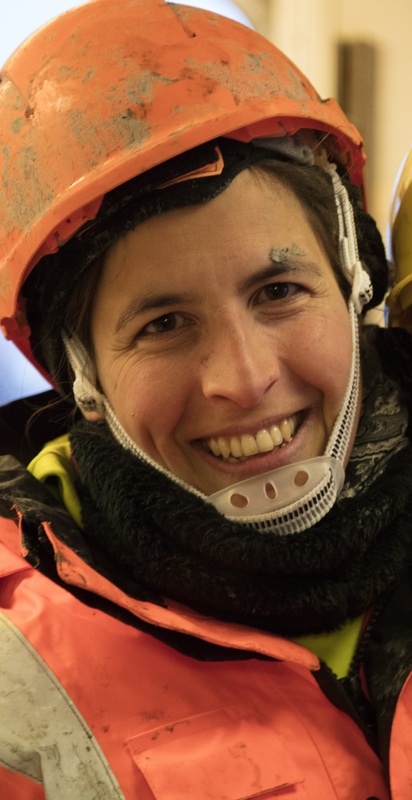 I supervise MSc and PhD projects during which the students acquire in-depth knowledge and key skills to investigate seabed dynamics, bedform formation, sediment transport and/or glacial geomorphology. I have supervised 1 PhD student to completion and currently supervise 4 PhD students (3 as lead supervisor).